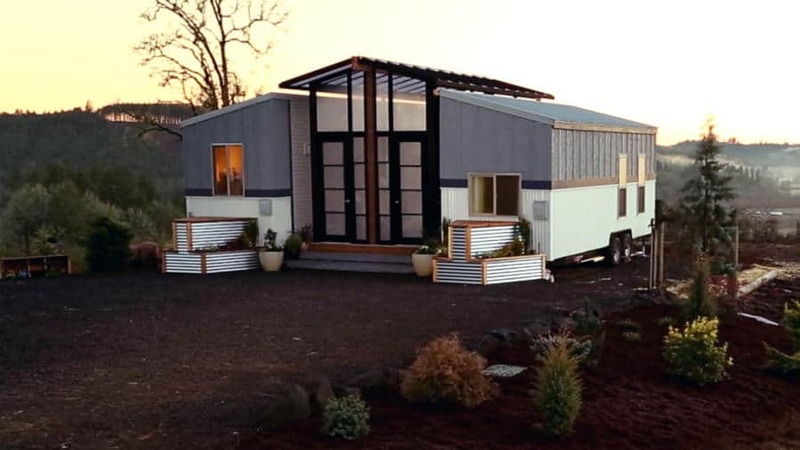 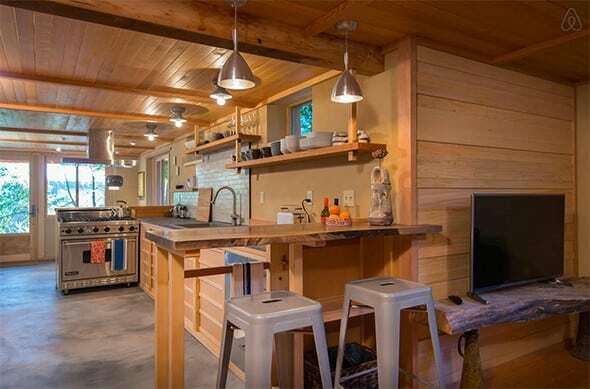 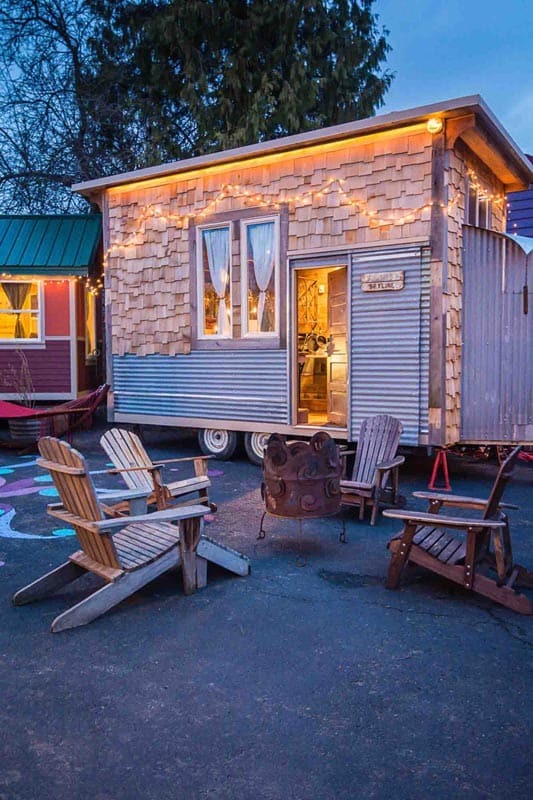 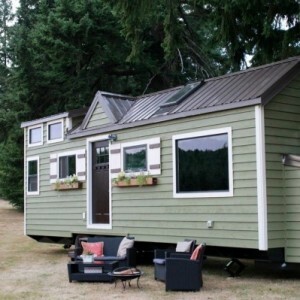 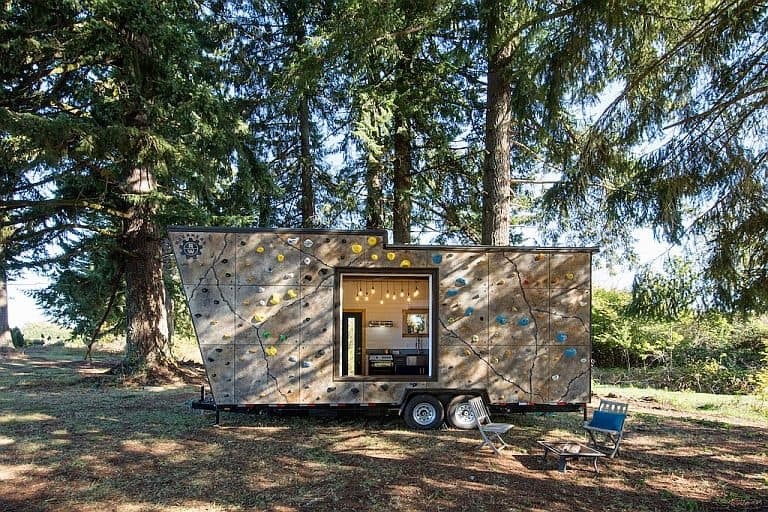 It’s not hard to figure out where Eric Bohne got his inspiration for the Firebird, the 156-square foot tiny house on wheels that he built of reclaimed materials and now rents out at his property in northeast Portland, Oregon. 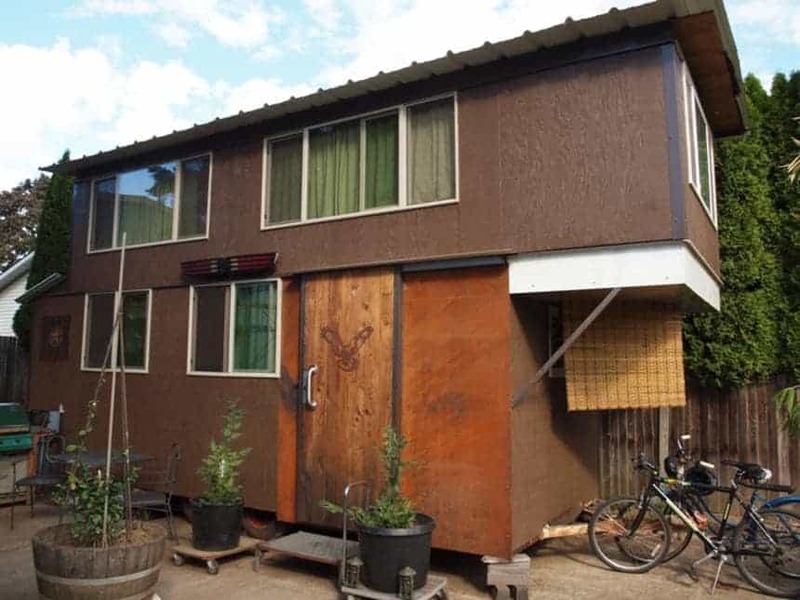 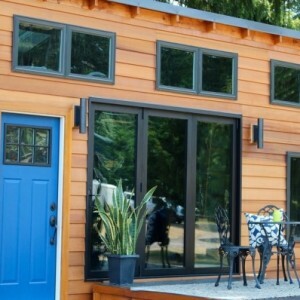 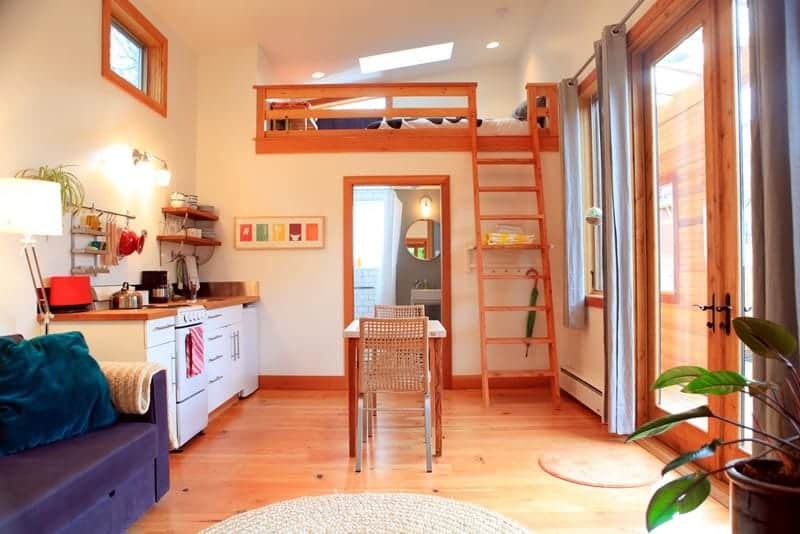 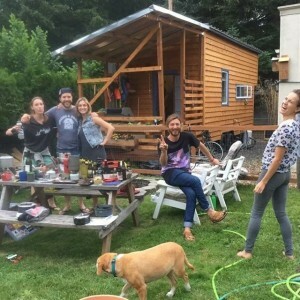 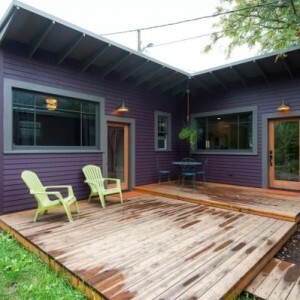 Eric’s first tiny house was the Skyline, which is one of our favorite units at Portland’s Tiny House Hotel, and it seems he enjoyed both the build and the idea of letting other people experience a stay in his creation. 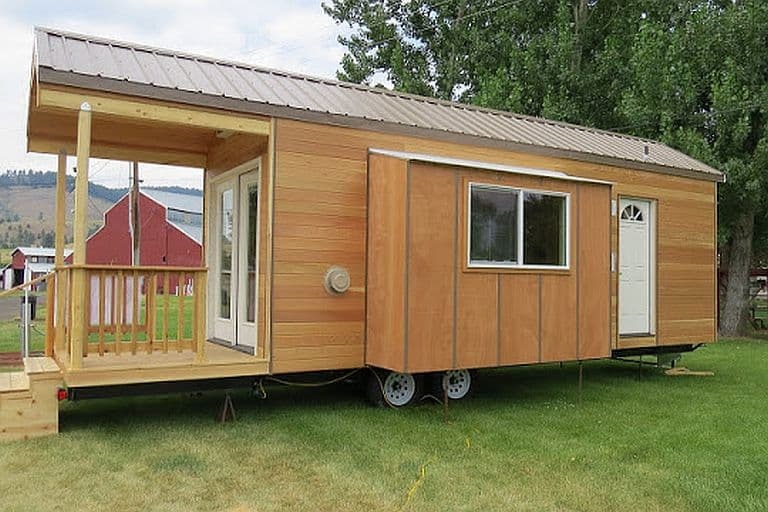 A lucky sighting of a concession trailer that had burnt down to its steel frame got the project started. 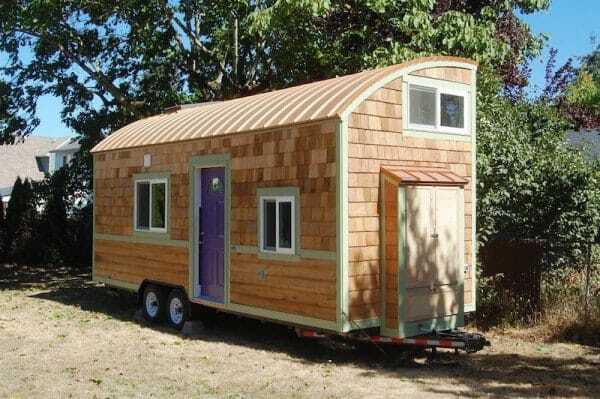 Eric bought the trailer for $1,000 and spent about a year putting the Firebird together with his family. 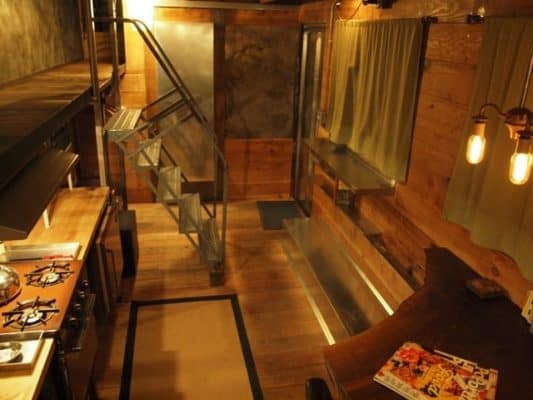 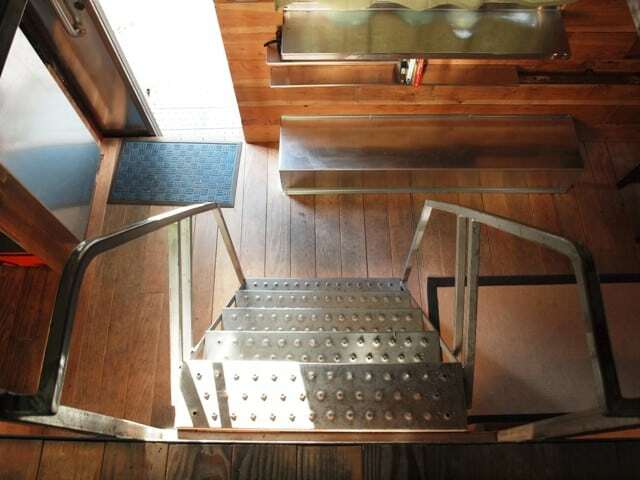 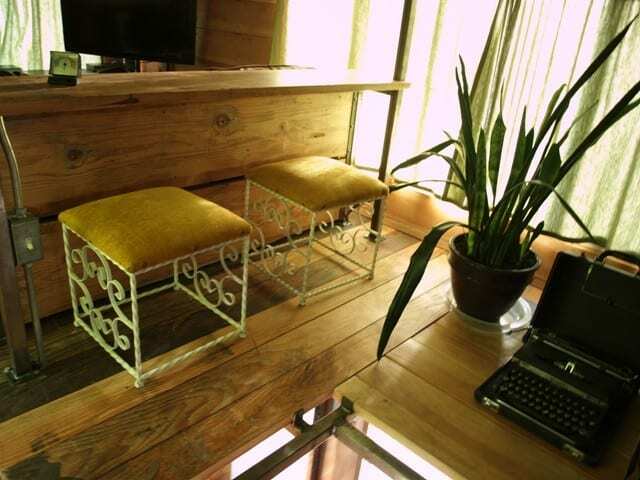 For the materials he raided his Metalwood Salvage business; for the rest he relied on the design and carpentry skills he also utilizes as owner of general contractor Alter Areas. 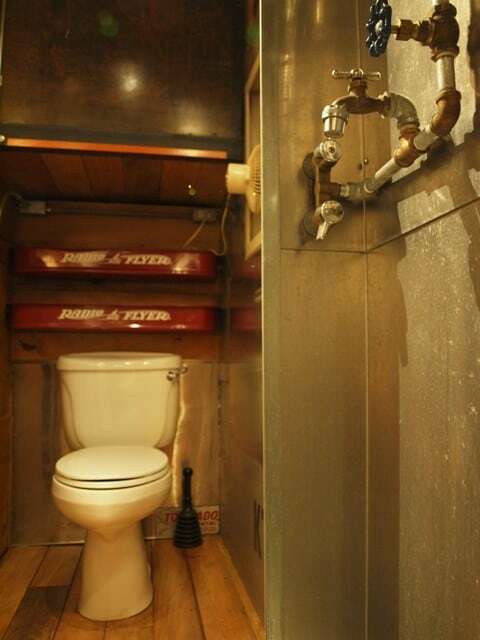 Like the Skyline, the finished Firebird is recognizably recycled, with an eclectic mix of woods and metal fixtures. 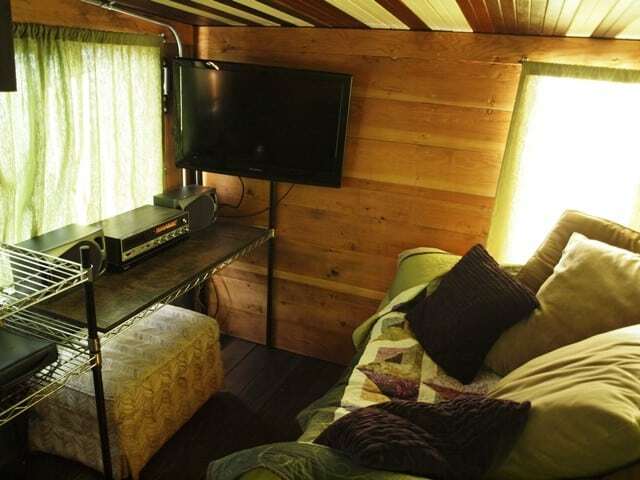 It’s divided into a living room, kitchen, bathroom and bedroom (with queen bed), and has hot water and electric heat. 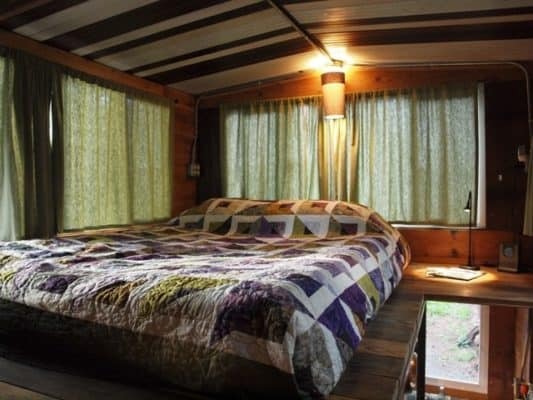 Daily rate is $140.